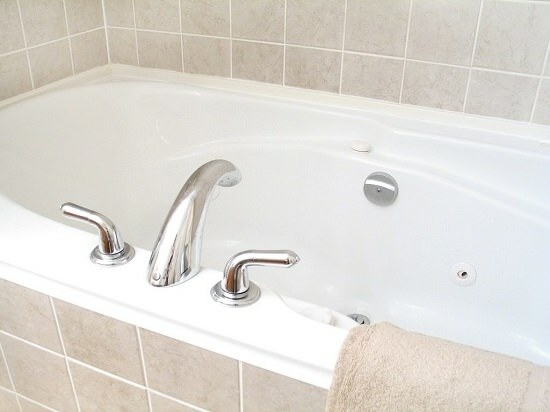 Make you bathtub shine like new in no time with this ingenious bathtub cleaning hack! No amount of obsessive cleaning can protect your bathtub from the unseen germs to lurk in it. The toilet and sink are the obvious spots that are prone to germs, but they are yet not the filthiest. The dirtiest place in your bathroom is your toothbrush followed by the bath. The dirtiest place in your bath could be the plughole. An average plughole is believed to contain 120,000 bacteria per square inch. Not just the plughole, but every spot of your bath could be a heaven for germs. So, cleaning just the drain wouldn’t do, but you’ll have to disinfect the whole of your bath. We understand that you might have a hard time reaching some spots in your bathtub. But nothing is hard when you follow the right way. To clean your bathtub the easy way, you just need two things, which you might already have at your home. TIP: Remember to use a brand new broom for this hack as an old broom wouldn’t do as well as a new one. Grab a bottle of dawn dish soap from the kitchen and squirt it all over the bathtub. Use the broom to rub the tub thoroughly in every direction. Now, simply let the water run and do its job of cleaning the dish soap. The reason behind the results of this trick is the combined efforts of the broom’s bristles and dish soap’s germs fighting content. This trick is going viral on the internet these days, and people all over are trying this hack. The result will leave you in astonishment! If you don’t wish to work hard for the cleaning, do try this trick and let us know how it worked for you! It requires no long rubbing or squatting hours but just two homely items.